We are extremely proud of our customer service representatives. All of our customer service representatives are trained graphic designers so they can help you with any questions you might have. 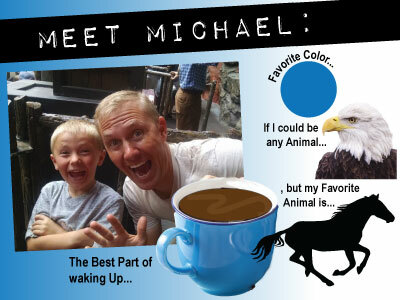 We will be posting some "Meet the Reps" posts, starting with Michael! If you work with Michael, feel free to start a conversation with one of these topics!